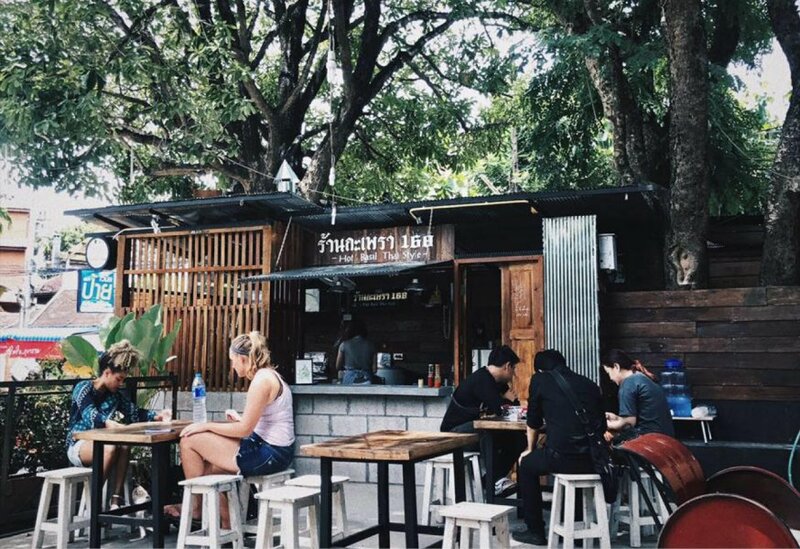 Chiang Mai never runs out of chic new must-hit openings, so if you’re heading up north this winter, here are our hot spots to eat, drink, sleep and, most importantly, get a hit of fresh northern coffee. Bangkok’s all-conquering butcher-slash-eatery is now busting out its famous dry-aged Charollais beef up north—go for their 45-day aged steak (200g) with fries for B350 or an 800g tomahawk for B1,220. 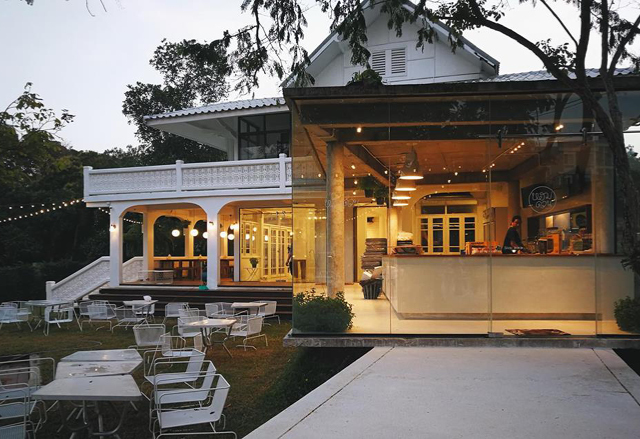 Khao Yai’s Chocolate Factory takes on a charming 150-year-old Lanna house by the Ping River, serving savory Thai and international dishes as well as all things chocolate—try the white chocolate cheesecake (B100) or decadent chocolate hazelnut lava (B180). One of Bangkok’s original family-owned Japanese restaurants has relocated up north to continue its tradition of unpretentious, umami-packed food at reasonable prices—try the rich yakitori motsuyaki (grilled marinated meat skewers, B25 each) and the uni aburi nigiri (grilled sea urchin on rice, B290). Ekkamai’s much-loved northern-Thai diner is now serving its lip-smacking khao soi, luscious gaeng hang lay and spicy sai oua (B50-80) in a white-washed American-style country house in Chiang Mai, complete with a spacious balcony, fairy-lit courtyard and in-house coffee shop. This tiny alfresco spot next to Chiang Mai University is dedicated entirely to kaprao, from classic pork to braised beef (B55), crispy deep-fried squid (B55), sweet Chinese sausage (B40) and even pork intestine (B65). Take a plush red leather seat in this lavish opium den-like tapas bar, where craft cocktails are accompanied by sharing dishes like deviled eggs topped with pumpkin mousse and shrimp (B180) and lemongrass-wrapped minced pork (B280). 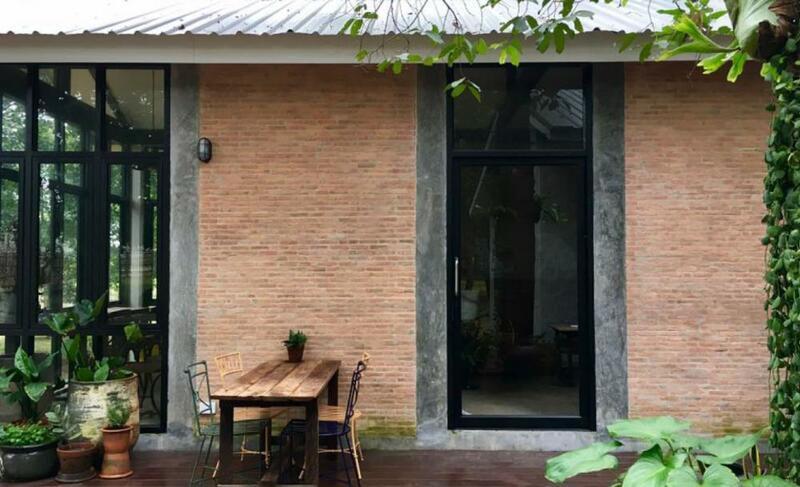 185/3 Wualai, Hai Ya, 088-216-6028. Open Tue-Sun 6pm-midnight. Follow the scent of coffee wafting from the back room roaster into this sparse and simple cafe, dotted with dark wood furniture and the odd plant. Head here for silent reading parties (a real thing) and an earthy cold brew steeped overnight with ginger caramel (B90). Don’t miss the perfectly sweet and tart cheesecake made daily. Science lab-like with its glossy surfaces and bare-bones decor, this coffee shop prepares reasonably-priced drinks and baked goods with clinical precision. Go for the daily-baked, small-batch “cruffin” (croissant crossed with a muffin) in custard, green tea or lemon with a coffee (B40) made from locally-sourced beans. 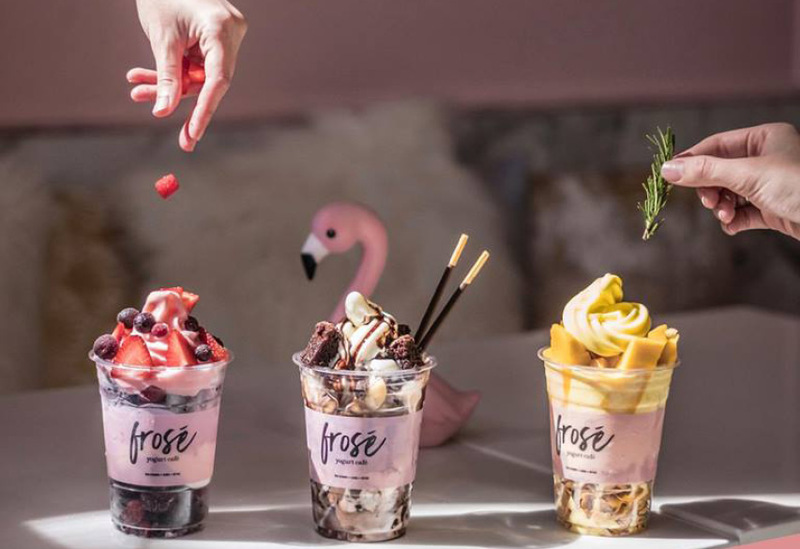 Surround yourself with flamingo sculptures, colorful treats in bell jars, potted flowers and neon signs with cloying, Insta-friendly declarations at this dollhouse-like cafe, as you devour fruity frozen yogurt with over 50 toppings—fresh-cut fruit, gummies and cookies, to name a few (B59/100g). 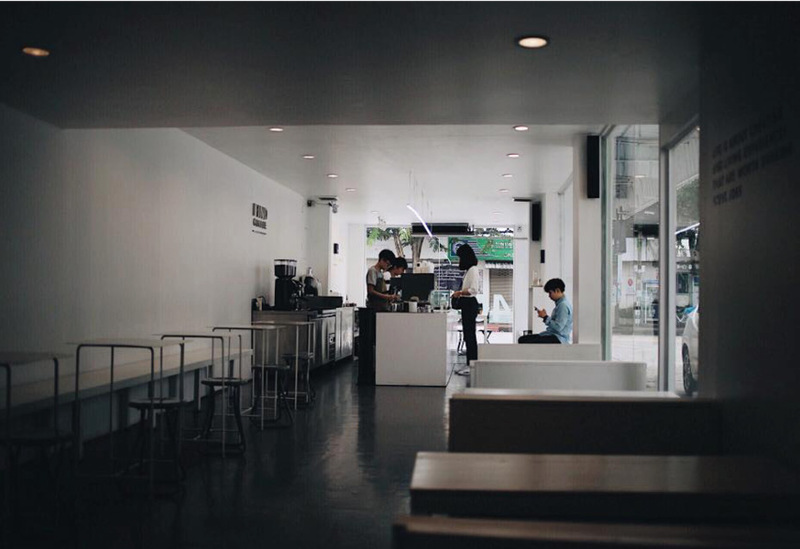 One of the north’s best-loved coffee houses has expanded yet further to this crumbling two-story building. Don’t be deterred by the shabby exterior, as inside you’ll be treated to cosy, rustic interiors and creative concoctions like the Hibernate (B145)—a latte with orange pulp and honeycomb on a base of maple panna cotta. 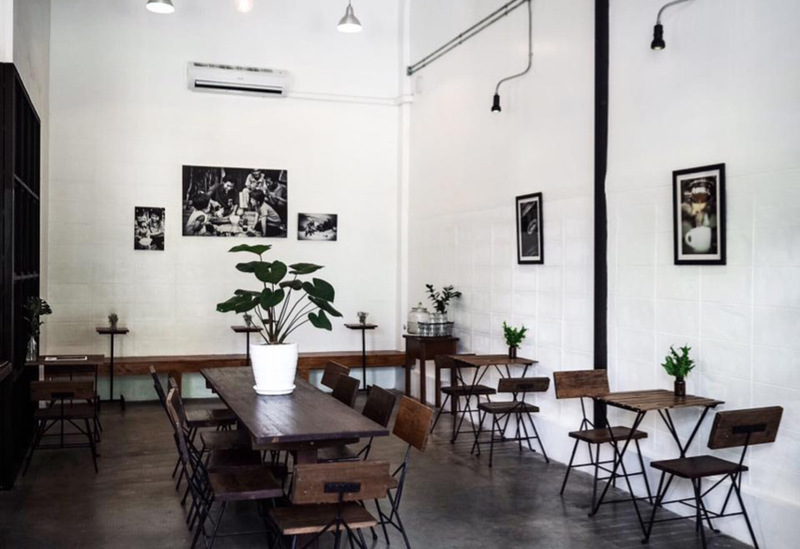 Chiang Mai’s Instagram darling has a new spot at One Nimman, with undeniably cool Soviet-inflected interiors—think raw, industrial cinder block walls and dim, hanging light bulbs. Grab a Lost Garden (a nitrogen-brew coffee infused with rose water, B135) and a golden, custard-stuffed “cruffin”. To the north of the city, this charming plant-covered coffee shop serves Western-inspired dishes, like the zucchini fritters topped with creme fraiche, mango salsa, and house smoked salmon (B135) and the waffles topped with caramelized banana, fresh fruit and ice-cream (B149), as well as classic Thai khao soi (B95). Crossing 17th-century baroque with contemporary industrial, this beautiful moody-blue cafe blends exposed brick with faux-antique miscellany. Head here for decadent ice cream—from Oreo Cheese Cream to Collagen Boost Yogurt (B25/scoop)—or Belgian waffles (B159). 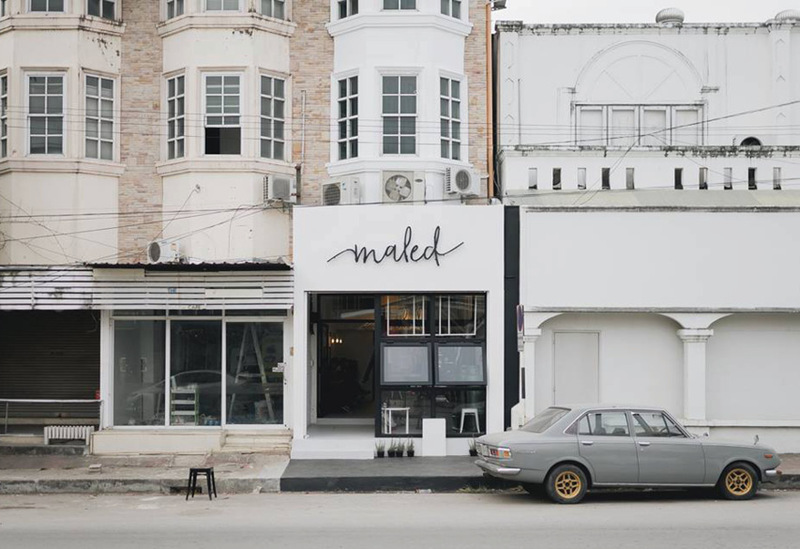 Coffee snobs and Instagram aesthetes unite at the second branch of Maled—dash in for a quick morning coffee and you’ll invariably be drawn into the cafe’s cozy, loungey mood and the Scandinavian minimalism that’s right out of a Kinfolk photoshoot. Arrive early to catch the specialty Jelly Black (coffee jelly with milk, B95), as they only serve six cups of it per day. Everything on the menu here will have you buzzing, whether it’s the drinks topped in clouds of cotton candy or the signature Fluffy Unicorn Poop (B155)—a double almond brownie heaped with cookies ‘n’ cream ice cream and cotton candy. In contrast, the decor skews minimalist, with a glass-brick wall and occasional signs the only ornamentation. 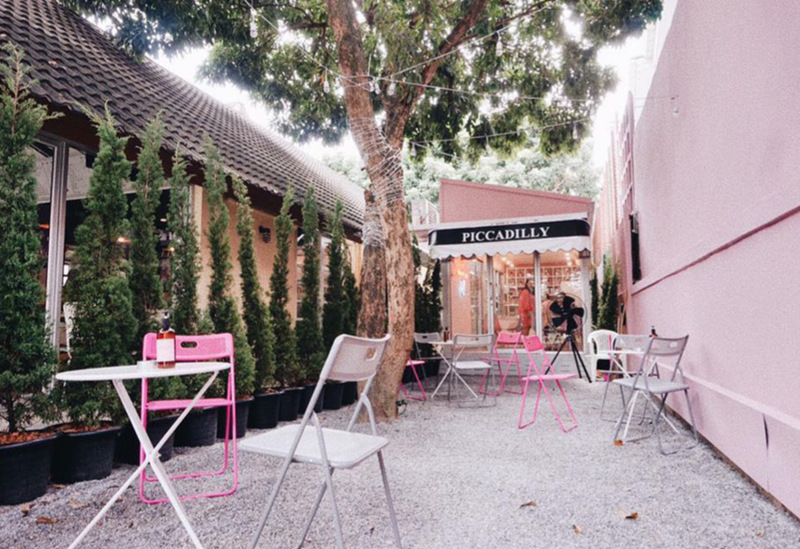 Like its many sweet-shop peers, Nimman’s snug dessert extravaganza comes in solid pink. With outdoor alleyway seating shaded by trees, order a cute, picture-perfect ice cream (B80/ scoop) festooned with kaleidoscopic toppings from Froot Loops and Pocky through marshmallows in myriad shapes. 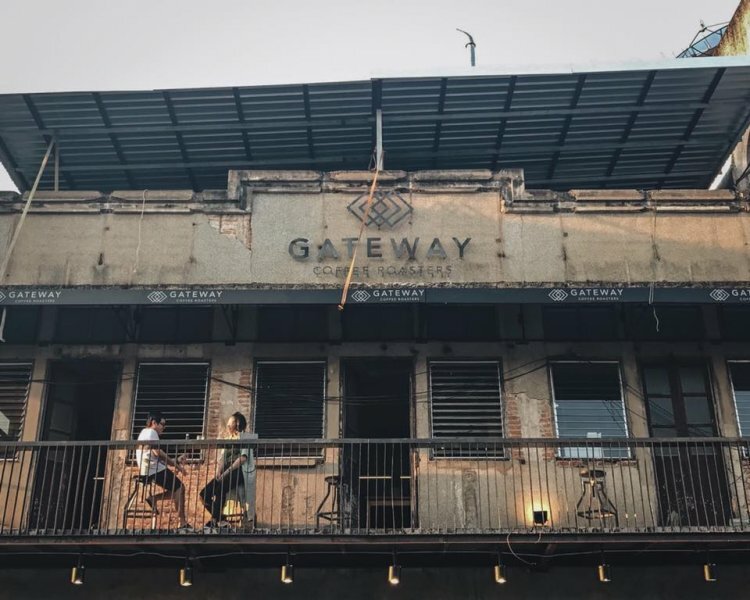 Take a detour down the back-alleys of Nimmanhaemin Soi 17 and you’ll discover this nook for quality coffee, sweet treats and photo opportunities. Sip on matcha, milk and espresso and rose-infused lattes (B75-85) dressed up with Instagram-worthy finesse amid potted plants, colorful flower jars and pops of vintage-green. Any good Instagrammer knows that the best photo ops are out of town and in the forest. 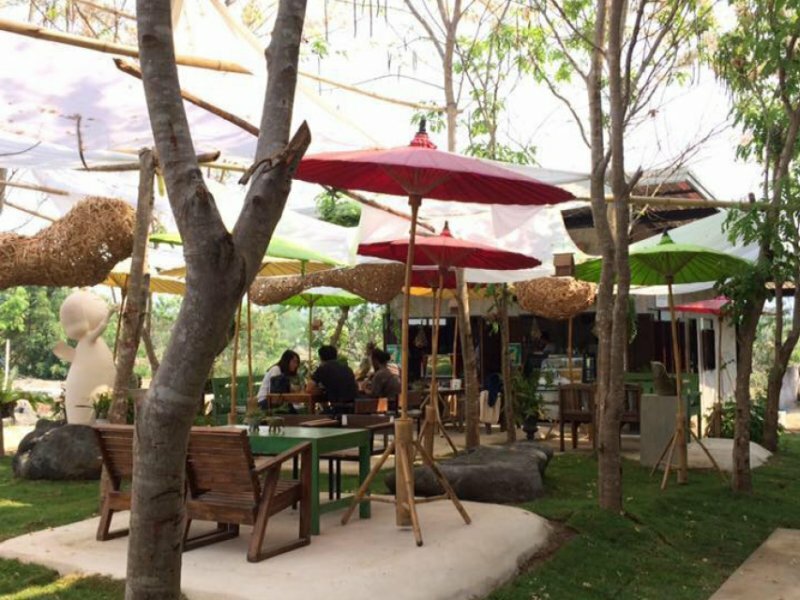 Check out Chiang Mai’s latest wilderness cafes. Just 15 minutes’ drive from the center lies a little piece of Brittany—arches, red brick walls and quaint furniture accompany ingredients flown in from France. For something filling, try a bread bowl (B169-179), topped with cheddar, mozzarella and an egg. 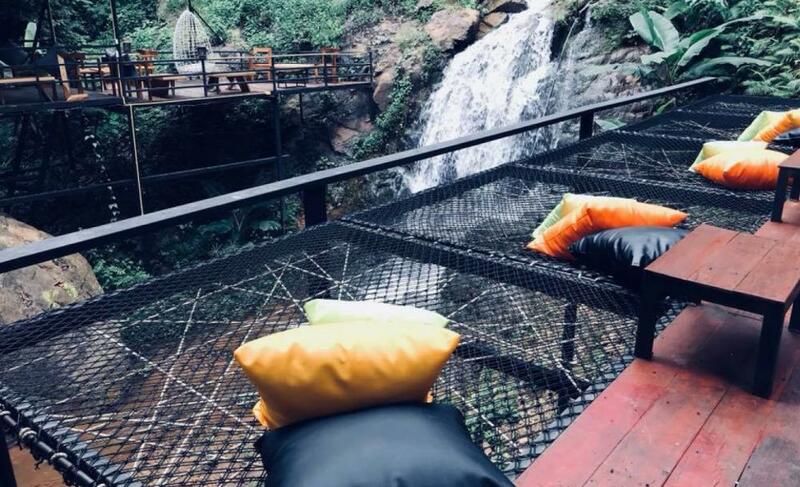 If you’re heading to Mae Rim, lose yourself in nature at this treehouse-style cafe perched above a waterfall. Originally built as a wedding venue for the celebrity couple owners, this dreamlike space has now been transformed into a cafe and restaurant. Traipse the raised boardwalk lined with fairy lights for a taste of northern coffee. 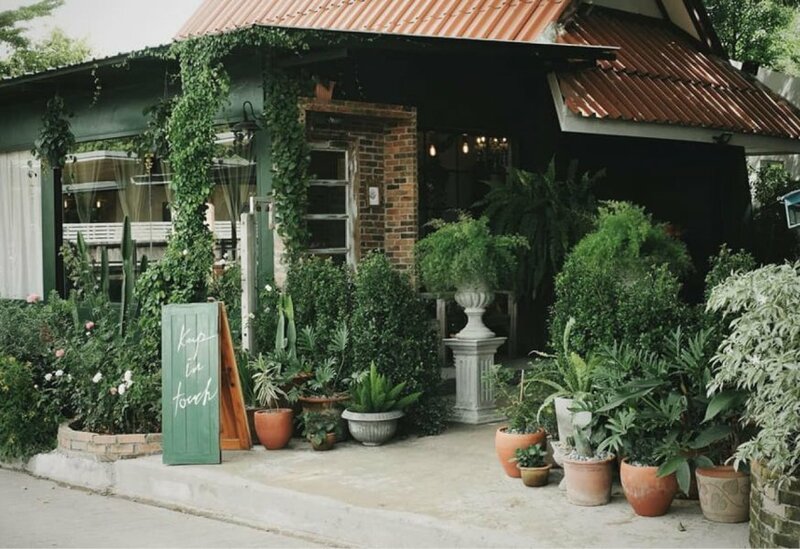 Surrounded by farms and foliage to the southwest of the city, this cosy spot brings the pastoral vibes: farm-animal murals, exposed brick, raw wood and lots of plants. The cakes and jams are homemade, which is probably why the sticky date pudding and exotic fruit cheesecake are so fresh and fruity (B100). 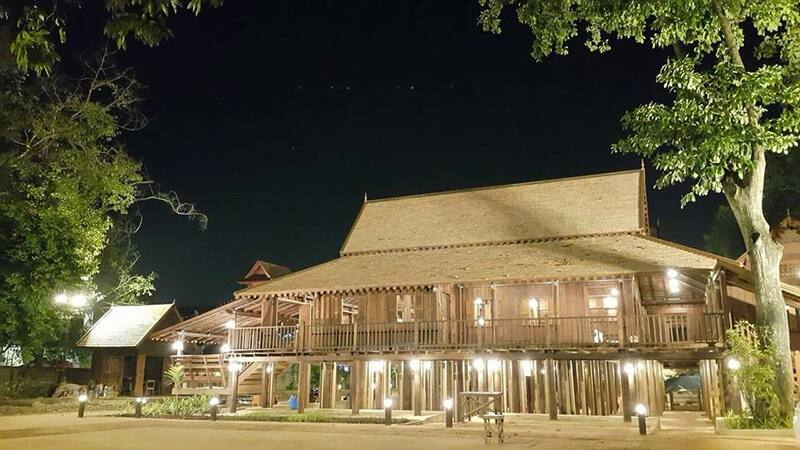 On your way to Mae Kampong village? 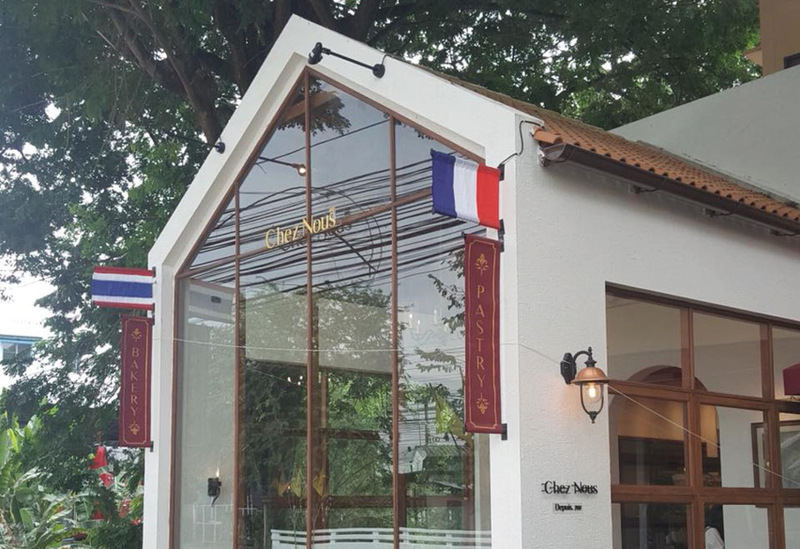 Make a stop at Chiang Mai Art Museum, a small independent gallery that also houses this little garden cafe, where coffees (from B50) are served alongside dishes including thin-crust pizzas (from B199) and buffalo chicken wings (B79). 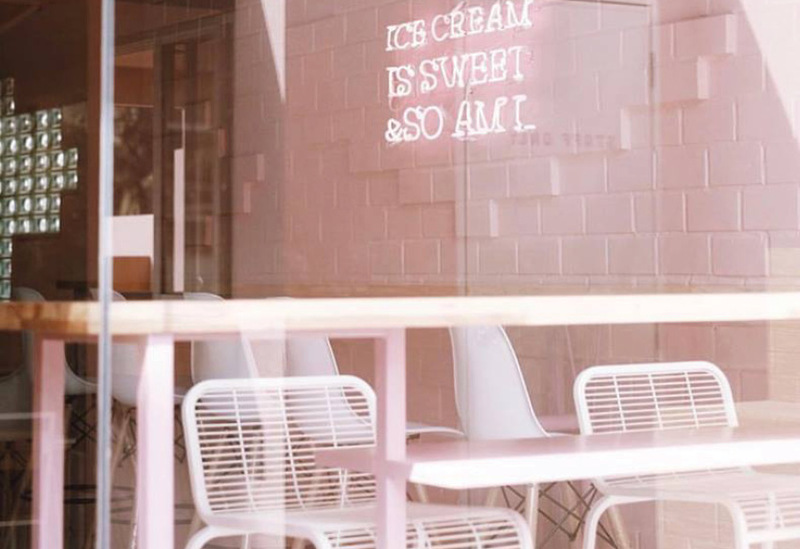 Ice-cream parlor by day, hipster hangout by night, this intimate rustic cafe transforms into a bar come sundown with the flick of a pink and blue light switch. The limited four signature cocktails (B150-200) entail unusual umeshu-based (Japanese plum wine) concoctions, mixed with the likes of passion fruit, rose water and egg white. Retro ‘80s neon lights flood a space topped by kitsch crate and bottle chandeliers. Order over six items to get discounted “wholesale” prices—from deep fried pork neck (B105) and seared scallops with mushroom Caesar sauce (B160), to cocktails like the Yeepua (London dry gin, cucumber, elderflower and red wine, B240). The third incarnation of this secretive dive bar conjures up a dingy spaceship feel with its UV-tinged white surfaces and distinctive circular window. Upstairs, pink lights and colorful disco balls preside over intimate indie gigs amid all manner of random paraphernalia, while the friendly bar serves beers and cocktails resulting in an experience akin to drinking at an eccentric friend’s apartment. At this eye-catching, Europe-evoking mall, you’ll find cafes, restaurants, spas, and boutiques selling arts and crafts, home decor and colorful, local fabrics with a modern-chic energy—check out Outfit of the Day, which sources clothing and accessories under a “Minimal & White” concept, or head to eco-friendly Swiss brand, Freitag, to get your hands on their signature bag. An organic locally-grown market is held on Sundays, too (7am-2pm). 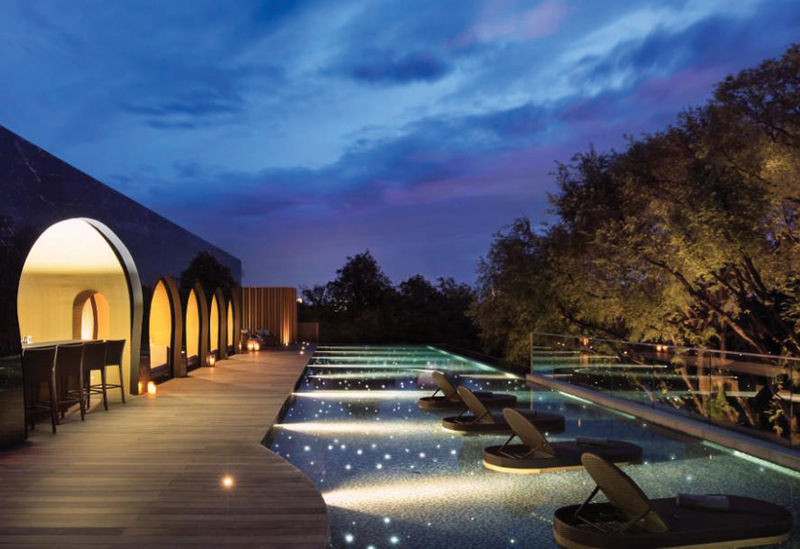 After a major revamp, this spa is back—bigger and better than ever. The traditional decor belies treatments which utilize the most modern onsen and hydrotherapy technologies, while of course classic Thai massage is also on offer. 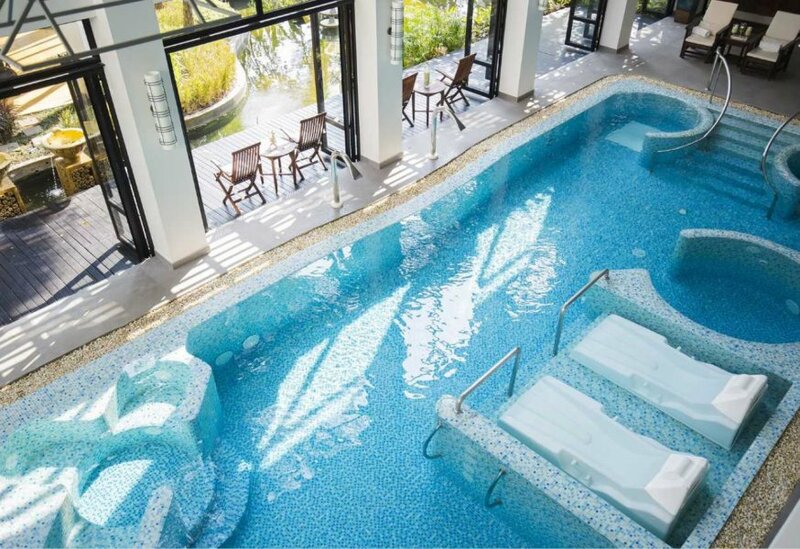 Packages last anything from one to four hours—try the one hour Splashy Hydropool Massage (B2,000), which sees your whole body massaged by warm jets of water from eight-station shower heads in a big indoor swimming pool. Health is at the heart of this vegetarian, alcohol-free resort, where a relaxing atmosphere combines with organic eating at the onsite Moreganic restaurant. The elegant white and blond wood interiors mix colonial architecture and Lanna style, while the rooms offer contrasting dark wood and ocean-blue walls, with blue Portuguese ceramic tiles and brass fixtures in the bathrooms. 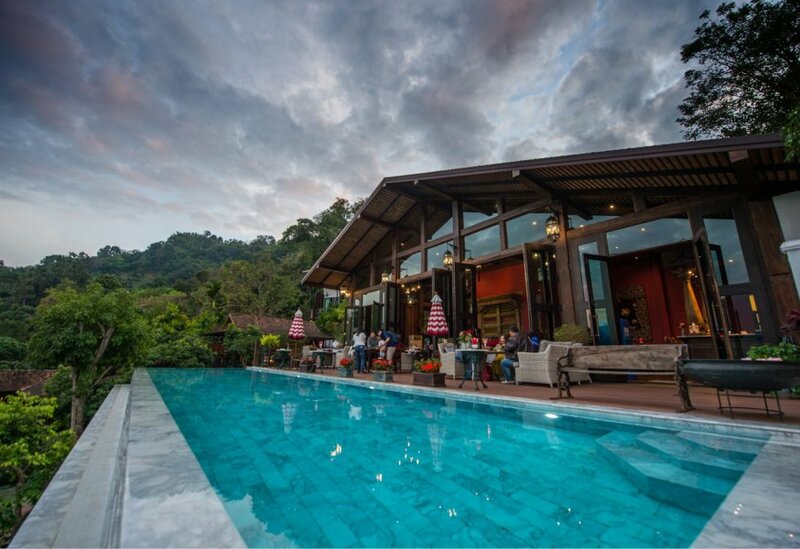 Offering panoramic views from its hilltop perch, this resort is home to two-story Lanna-style villas, featuring dusky teakwood, multi-tiered roofs and spacious balconies with stunning forest views, all centered around a man-made waterfall. The elegant onsite restaurant specializes in traditional Thai and northern dishes and opens out onto the resort’s hillside swimming pool. 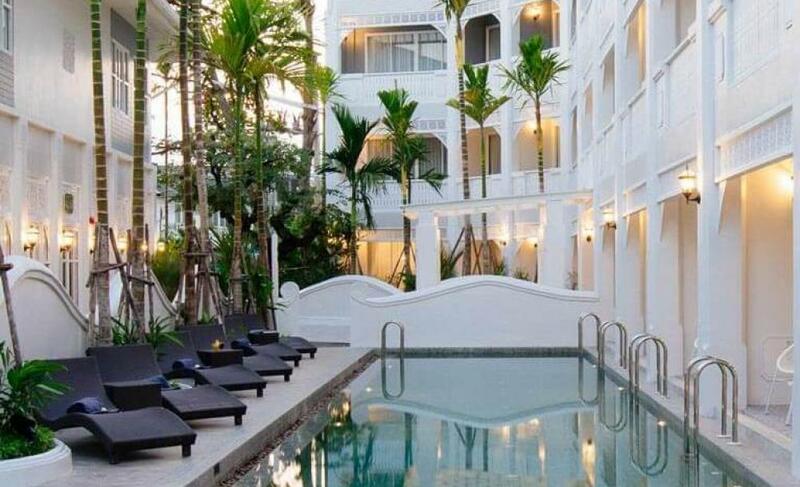 In the city center, this colonial-style mansion boasts a limited 12 rooms. The minimalist interiors mix clean whites and lacquered blond wood flooring, saving all the fuss for the gloriously palatial gold-tiled bathrooms with their stencil-patterned appliances. Limited space means there’s no gym or spa, but they do have a Western-leaning restaurant onsite. 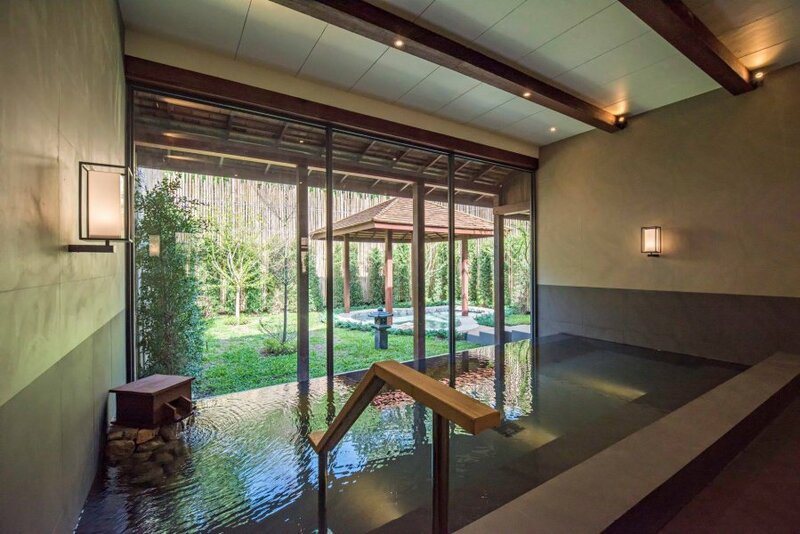 Bringing Japanese bathing to the peaceful rolling green hills of Moncham, this high-end retreat abounds in minimalist blond-wood and bamboo elegance. Each stay in the 16 rooms and suites grants access to a range of therapeutic pools and private bathtubs capable of increasing your blood flow and rejuvenating your skin. A well-stocked bar, gym and spa complete the list of facilities, while the lakeside Thai-Japanese restaurant offers views of the green surrounds. 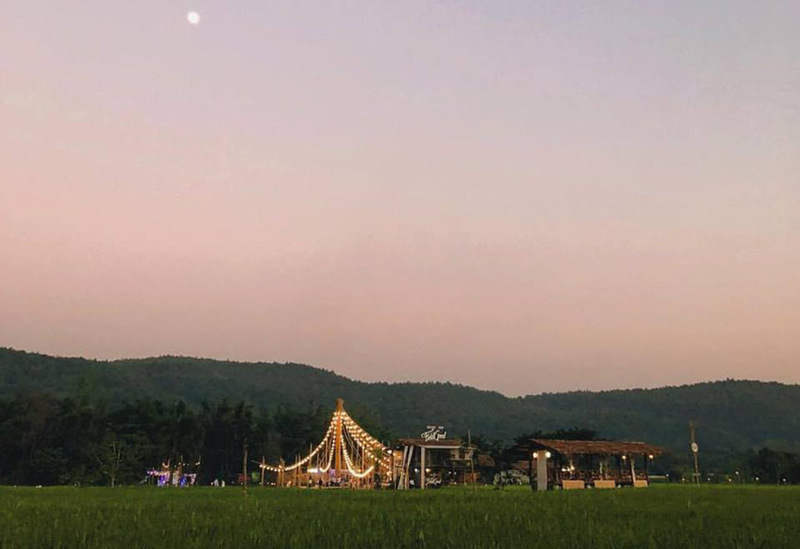 Situated right on the banks of the Ping River, this five-star resort takes inspiration from Wat U-Mong, Chiang Mai's Lanna-style temple known for its maze-like tunnels. Red brick walls and carved pathways blend with modern design elements and facilities like a rooftop gym, pool and bar with views of Doi Suthep and the city. The five-story building boasts 30 rooms and suites, some overlooking the river. Locals tell us their top food picks for an authentic Chiang Mai experience.